Cash within 24 hours of approval. To start the application for an advance with American Pride Legal Funding is as easy as calling us and giving us some basic information. However, there are several factors that all pre settlement funding companies will look at. First, to apply for a lawsuit advance with a pre settlement funding company like American Pride Legal Funding you must have an attorney. Many times, a pre settlement funding company will automatically disqualify your application when you are pursuing a claim without an attorney. If you are interviewing attorneys or having conversations with attorneys, please complete their intake process and then reach out to us for potential funding. Secondly, pre settlement funding companies can’t fund when the plaintiff is a minor. Almost all pre settlement funding companies view cases involving a minor as disqualified. This is because once the case settles, the funds are not available for repayment until the minor’s eighteenth birthday at the earliest. Your state residency is important in qualifying for a lawsuit advance from American Pride Legal Funding or any pre settlement funding company. Your state of residence defines the jurisdiction of your personal injury claim. Many states have unfavorable ruling regarding lawsuit funding and personal injury settlement advances. Also, many states that allow funding have statues that provide for a minimum amount of funding that is very high and not typical of the average lawsuit cash advance. All pre settlement funding companies are aware of these states and their rules. For instance, in North Carolina that minimum funding amount is $25,000 which is a very large amount and very few cases qualify for that large of an advance. If you are in North Carolina and don’t have a case that meets the $25,000 case minimum. Another example is Colorado, our minimum funding amount in Colorado is $70,000. This is another instance where it makes it very difficult to get the average personal injury case funded in Colorado. Another state with a statutory limitation is South Carolina. There are a great many types of claims. And we specialize in car accident loans and general personal injury claims such as medical malpractice claims and slip and fall claims. However, there are many claims that pre settlement funding companies can’t be helpful with. For instance, we can’t help with social security claims, divorce disputes, and inheritance claims. There must be a third party personal injury claim attached to your case for us to be helpful. Finally, soft tissue injuries are difficult to fund in general. This is not a hard and fast rule because we are able to fund when there are only soft tissue injuries, but the funding amount is typically less than $1,000. Many times, a lawsuit is the best way and the only way to rectify a wrong. A personal may be wrongfully terminated or been involved in a car accident. The majority of Americans do not have $500 in case of an emergency. Also, many Americans do not have the means to pursue a legitimate personal injury claim. Third party funding is available to help plaintiffs when they are out of resources and facing a large insurance company. Per settlement funding companies essentially provide for profit legal aid. American Pride Legal Funding can help you level the playing field against larger players. Even celebrities like Hulk Hogan have turned to legal funding for help. Litigation is expensive, and Hulk Hogan had a privacy case against the media site, Gawker but he didn’t have the funds to pursue the case by himself. Even with his resources, a fair shake was not available to him. Hulk Hogan needed the help of a Billionaire, Peter Thiel. On the road to his legal victory, Hogan needed the help of legal funding just like a person pursuing a car accident claim against a major insurance company. In Hogan’s case, from beginning to end, the litigation lasted four years and cost millions of dollars. There is no way Hogan could have lasted that long even with his resources as a celebrity. An outside funder (Peter Thiel), helped Hogan and financed his lawsuit. Everyone needs help occasionally regardless of their financial history. Pre settlement funding companies act as legal backers. During the litigation process and negotiation process with the insurance company you may be tempted to take a low ball offer because of pressing financial needs. A pre settlement loan can give you the staying power to allow your attorney to pursue your claim. When evaluating a case to fund or back in the case of Hogan, pre settlement funding companies will look at four main factors. Liability is basically the legal responsibility for one’s acts or omissions. It is one of the most important terms in the judicial system. To win a lawsuit, the plaintiff (you) must demonstrate that the defendant (the insurance company in most cases) has legal liability for the accident. American Pride Legal Funding and other pre settlement funding companies, look closely at liability and generally rely on the Police Report in the case of motor vehicle accidents to determine liability. Determining liability can be challenging and take months in court. To get an idea of where the liability lies in a claim, a pre settlement funding company will look at police ports, expert reports, photos of the accident scene, witness statements/depositions, and initial treatment records. In legal terms, damages of the amount of money which a plaintiff may be awarded in a lawsuit is synonymous with the value of the lawsuit. For the best pre settlement funding companies, there is a direct relationship between the extent of a plaintiff’s medical treatment and the actual damages and value of a case. To determine potential damages, American Pride gather the plaintiff’s medical bills, treatment records, and diagnostic reports. Collectability includes the defendant’s insurance information. The amount of insurance coverage sets the upper limit on a plaintiff’s settlement. Pre settlement funding companies will gather information on the defendant’s insurance policy and any umbrella policies as well as the plaintiff’s insurance policy (UIM). When it comes to legal funding, liens can come in many forms including prior lawsuit advances, letter of protection, child support, and medical liens. The best pre settlement funding companies evaluate these liens to make sure you are advanced the appropriate amount relative to your expected net from your settlement. 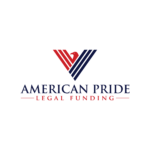 American Pride Legal Funding won’t check your credit, but we will check to see if you have prior funding from other legal funding companies. American Pride Legal Funding can help you level the playing field against the insurance giants. You don’t have to accept a low-ball offer or get behind on your monthly obligations, give us a call. We’ll answer all of your questions and walk you through the process step-by-step. Using the best pre settlement funding company in the business will help you win the compensation you are entitled to.